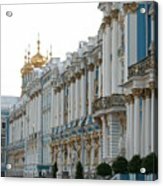 Queen duvet cover (88" x 88") featuring the image "Katharinen Palace And Onion Domes - Russia" by Christiane Schulze Art And Photography. Our soft microfiber duvet covers are hand sewn and include a hidden zipper for easy washing and assembly. Your selected image is printed on the top surface with a soft white surface underneath. All duvet covers are machine washable with cold water and a mild detergent. There are no comments for Katharinen Palace And Onion Domes - Russia. Click here to post the first comment. Copyright:Christiane Schulze The Catherine Park is a park, located in the town of Tsarskoye Selo (Pushkin), 25 km south-east of St. Petersburg, Russia. 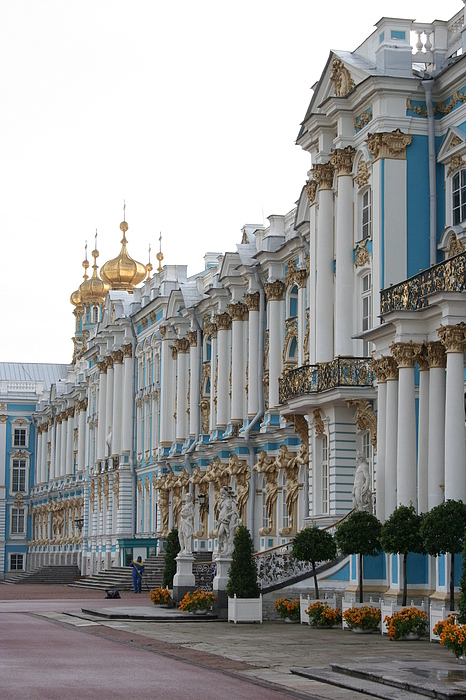 It is an integral part of the royal residence in Tsarskoye Selo. Catherine Park, which received its name from the Catherine Palace, consists of two parts: a regular old garden and english garden.